What is the Rotary International Foundation? Often called The Rotary International Foundation to avoid confusion with Poulsbo Rotary's local foundation (Poulsbo North-Kitsap Rotary Foundation), The Rotary Foundation's mission is to enable Rotarians around to world to advance world understanding, goodwill, and peace through the improvement of health, the support of education, and the alleviation of poverty. The Foundation was born in 1917, when R.I. President Arch Klumph proposed the creation of an endowment, "For the purpose of doing good in the word." This year marks its 100th anniversary, and Poulsbo Rotary is celebrating this event! 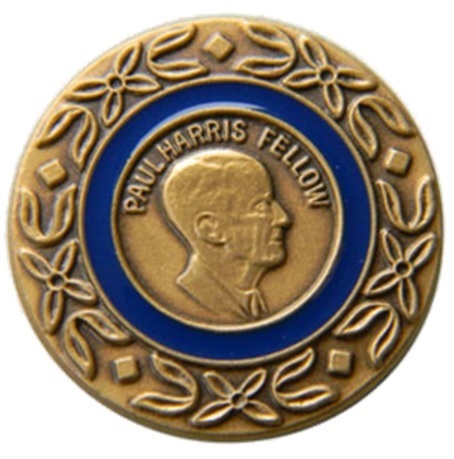 Join the Paul Harris Society - Take the Pledge and donate $1,000 at your convenience or sometime during the next 12 months. Make it easy by signing up for auto billing, and pay when you pay your monthly dues. Become a Sustaining Member (Outright gift or Automated Billing) - Donate $100 per year all at once, or sign up for Auto Billing and pay when you pay your dues. Contribute $26.50 (In honor of the first gift given to The Rotary Foundation) - Request an invoice, or just bring your check or credit card info to Foundation Chair Lori Cloutier, or any member of the committee: Nick Callum, Donna Pledger, Geoff Schmidt, Rand Hillier. Do #100Actsofgood - Rotarians everywhere are being encouraged to do 100 acts of good throughout the year. Let others know by posting photos of yourself on social media, along with a brief description of the act, using #100actsofgood on Facebook, Twitter, Instagram and others.